HAVE A TECHNICAL SUPPORT REQUEST? Success! Your message has been sent and we will respond shortly. For the fastest technical assistance, login to your LeagueAthletics.com account to browse our extensive knowledge base or start a conversation with our Support Team! 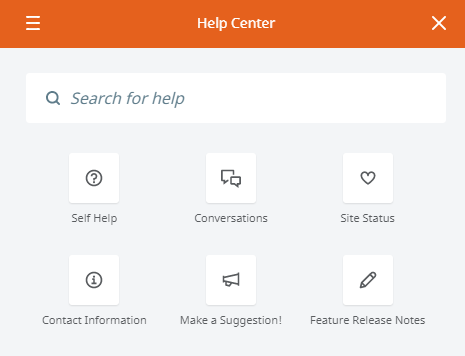 Simply click on the orange question mark in the lower right of every screen to open our in app Help Center. Click Self Help to view our knowledge base or Start a Conversation to get in touch with our Support Team! Can't see "Start a Conversation"? Be sure you are logged into your LeagueAthletics.com account using your administrator email address and the password associated with it. Do not use the master password.